Character - Scoundrel. Points: 14/18. Health: 10. 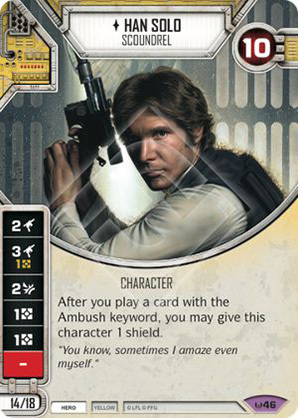 After you play a card with the Ambush keyword, you may give this character 1 shield.